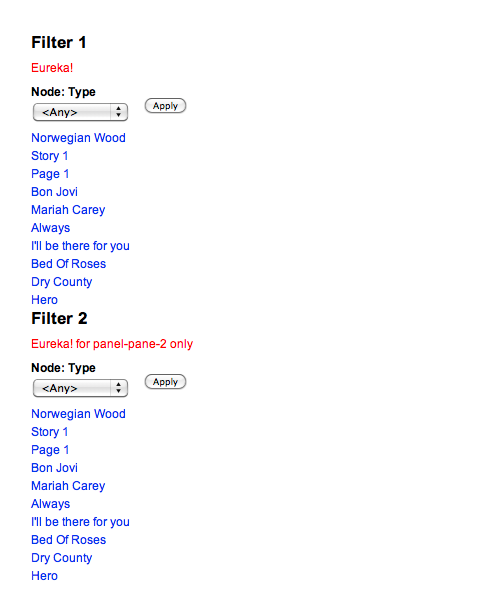 Drupal – Theme the Exposed Filter Form in Views | Eureka! 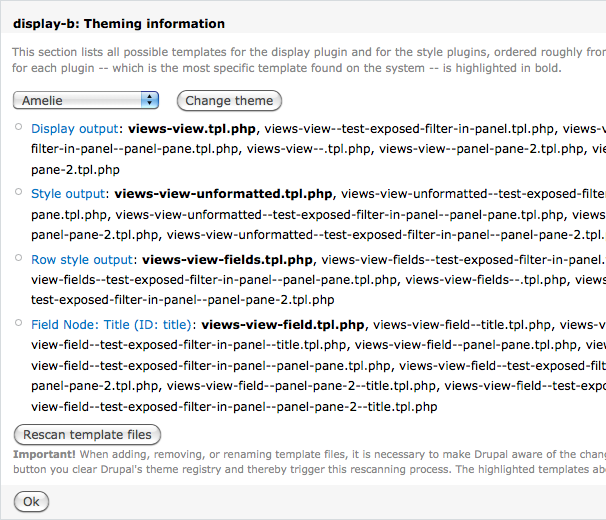 In Drupal Views, we can theme the output HTML by applying different .tpl.php in the Views admin UI. But there is not an option for theming an exposed filter. Actually, we can do it in the same way. 1. Copy the views-exposed-form.tpl.php which is located at /sites/all/modules/views/theme to your own theme folder. 2. Say if i have a view named as test_exposed_filter_in_panel, renamed the views-exposed-form.tpl.php to views-exposed-form–.tpl.php and modify it with whatever u like. 3. Go to the Views admin UI of test_exposed_filter_in_panel and click the Rescan template files button in Theming information. 4. This will apply to all displays of test_exposed_filter_in_panel view. 5. So how about if i only want to apply the theme to a specific display? No worry, go to the Theming information of your desired display. Take a look on any output and you can find your display name. 6. In the above case, the last Display output template is views-view–test-exposed-filter-in-panel–panel-pane-2.tpl.php. So panel-pane-2 is the name of display-b. Then you can create a new .tpl.php with name views-exposed-form.tpl—-.tpl.php. 7. See what you get now. Thanks Tyler Frankenstein as i found his post which reminds me i have to rescan the template files before the .tpl.php works. This works. Thanks I was struggling to style to exposed filters view form. Great post! I’ve been using it to theme my exposed form, but I’ve still got a problem with this. 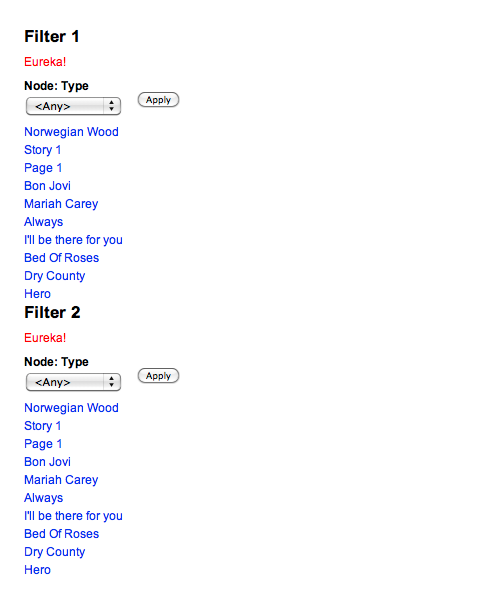 I’ve got 3 exposed filters and I’d like to theme them in two columns. They actually belong to the same display. On the left: AC / PR is filter one. The images on the right are triggered by the other two filters. I have coded static how I would like the filters to look. This is all in one display, right? Or am I missing something? My goal is to call the 3 exposed filters separately, so I can style them the way I intended. um… i think you are talking about ONE exposed filter with different exposed fields, rite? you want to theme the exposed fields such that they look like toggle buttons? No, they’re 3 separate filters. To make the two filters appear as toggle buttons based on taxonomy terms. But you can’t see those buttons on http://staging.lessius.eu/opleidingen yet because I’ve still got to fix the CSS on that. What I was trying to do first is to call each filter separately in the tpl.php instead of all 3 at once, so that I can position them as intended. How could you make ONE view display having MORE THAN ONE exposed filter? As far as i know, only one exposed filter is allowed for one view display. O. i know what you mean. i am sorry that the title of this blog post make you confused. 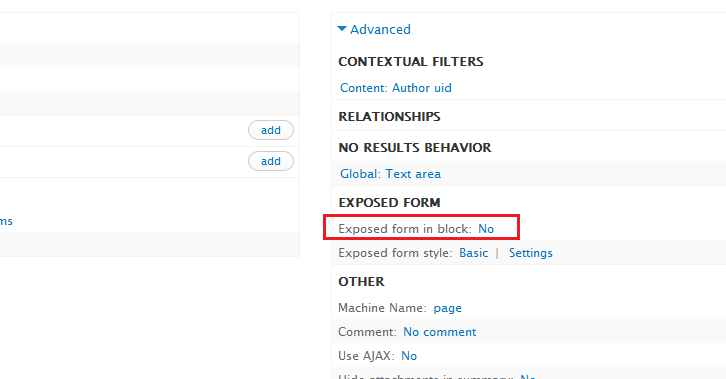 A better name should be Drupal – Theme the Exposed Filter Form in Views. It seems there there is no way to theme a specific filter inside a Exposed Filter Form. Perhaps this is one filter and I need to say that I’m trying to call each widget separately? yes. i am sorry that the title of this post is misleading. please refer to my comment above. Sorry, your code cannot be rendered properly. please post code according to the Syntax Highlight. Thanks for a great post. I am stuck with this problem and I can’t the solution anywhere. I want to display exposed form as block and NOT show the form on top of the view. I tried your solution, but it applies to both top and side forms. If you want to display the exposed form in block, just make the setting in the following option. Views exposed form layout (https://www.drupal.org/project/vefl) will help with views exposed form theming. Thx for your comment. Will try this module in the future. How can I theme a particular control in the Exposed form, e.g submit button?